Research in the Serhan Laboratory focuses on structural elucidation of bioactive molecules. Dr. Serhan’s overall mission is “To identify novel bioactive mediators, pathways, and cellular targets critical in activating resolution of inflammation and their relation to human disease.” Recently Dr. Serhan’s studies have focused on structural elucidation of novel molecules and pathways that serve as pro-resolving and/or endogenous anti-inflammatory chemical signals. 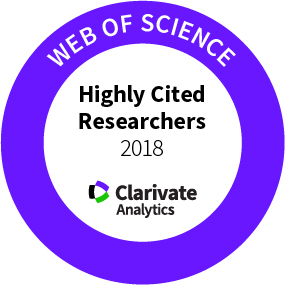 He is among an elite group recognized for exceptional research performance demonstrated by production of multiple highly cited papers that rank in the top 1% by citations for field and year in Web of Science. Prof. Charles Nicholas Serhan, PhD, DSc is the Simon Gelman Professor of Anaesthesia (Biochemistry and Molecular Pharmacology) at Harvard Medical School and Professor of Oral Medicine, Infection and Immunity at Harvard School of Dental Medicine. He is Director of the Center for Experimental Therapeutics and Reperfusion Injury at Brigham and Women’s Hospital. In 1987, he joined the faculty at Harvard Medical School in 1987 and received an honorary degree from Harvard University (1996). He has received several awards including an NIH MERIT award (2000) and has delivered > 50 keynote and plenary lectures. 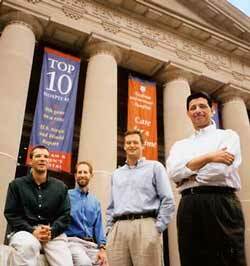 Among these, 2008 William Harvey Outstanding Scientist Medal and AAAS Fellow in 2011. In 2010, he received the Society for Leukocyte Biology Bonazinga Award for outstanding research on leukocytes, The American College of Rheumatology Hench (Nobel Laureate) Award Lecture in 2011 and is a Mérieux 2013 Laureate. In 2016, he received the IUBMB Lecture Metal and the Ross Prize in Molecular Medicine. In 2017, he received the International Eicosanoid Research Foundation’s Lifetime Achievement Award and the American Society of Investigative Pathology (ASIP) 2018 Rous Whipple Award. Dr. Serhan over 25 years of experience leading multidisciplinary research teams and led as Principle Investigator/Program Director Program (PI/PD) Project “Molecular Mechanisms in Leukocyte-Mediated Tissue Injury” (P01-DE13499), PI/PD for “Specialized Center for Oral Inflammation and Resolution” (P50-DE016191) and currently is the PI/PD of “Resolution Mechanisms in Acute Inflammation: Resolution Pharmacology” (P01-GM095467) a program project grant supported by NIH/NIGMS. Importantly, he is hands-on at the bench and has trained > 60 fellows and trainees that has successful careers in academic medicine and industry. Current research in the Serhan laboratory focuses on structural elucidation of novel bioactive molecules that activate the resolution of inflammation. 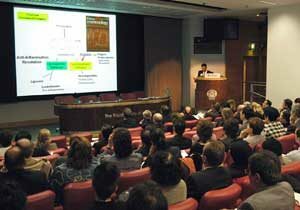 Our overall mission is “To identify novel mediators, pathways, and their cellular receptors and targets critical in promoting resolution of inflammation and reperfusion tissue injury and establish their relation to human disease.” Our ongoing studies focus on structural elucidation of novel molecules and pathways that are pro-resolving and endogenous anti-inflammatory chemical signals. We elucidated new super-families of lipid-derived chemical mediators, coined Resolvins and Protectins, and Maresins, that stimulate resolution of inflammatory responses and reduce pain. Several of these molecules help clear bacteria and stimulate tissue regeneration. We’ve designed novel therapeutic approaches using these structures as biotemplates. New therapeutic approaches built with the knowledge of these signaling pathways could be more potent, selective and better tolerated since they are based on structures naturally evolved in these processes. Several of these new designer pro-resolving therapeutics have already been shown effective in humans. To meet this overall mission, Dr. Serhan is currently the program director of a federally supported NIH Program Project grant, Resolution Mechanisms in Acute Inflammation: Resolution Pharmacology. He is also Principal Investigator on the NIH research grant entitled Blood Cell Lipoxygenase Products: Formation and Action, funded since 1987 and receiving a MERIT Award. He also serves as mentor for post-doctoral fellowships including the Arthritis Foundation Fellowship awarded to Dr. Kie Kasuga (2006–2008). Jan Schwab, M.D, Ph.D. was the recipient of a Deutsche Forschungsgemeinschaft Fellowship (2005–2006). Dr. Matthew Spite received an NIH NRSA Fellowship (2008–2011). Dr. Lucy Norling received the Arthritis Research Campaign Fellowship (U.K.; 2008–2010). Until recently, the resolution of inflammation was widely believed to be a passive rather than active process. Uncontrolled inflammation is now appreciated as a unifying pathophysiologic basis for many widely occurring chronic diseases, including Alzheimer’s disease, cardiovascular disease and asthma, as well as the more traditional diseases associated with aberrant inflammation such as arthritis and periodontal disease. Dr. Serhan’s current research focuses on the cellular and molecular mechanism(s) that govern endogenous anti-inflammation and resolution mechanisms in inflammation. From his research program, a body of evidence has emerged indicating that the resolution of inflammation is an active process. Dr. Serhan’s approach in elucidating the molecular map or resolution circuitry involves a multidisciplinary systems biology approach employing lipid mediator informatics, cellular and molecular analyses integrated in a systems approach to elucidate critical biochemical pathways in the resolution response in vivo. The evidence that resolution is an active process comes from Dr. Serhan’s discovery of the endogenous anti-inflammatory and pro-resolving chemical mediators that possess potent anti-inflammatory and tissue protective properties as well as activate previously unappreciated anti-microbial defenses mechanisms in host mucosal epithelia. Dr. Serhan’s results demonstrated the assembly and activation of anti-inflammatory, pro-resolving lipid mediator circuits activated during the resolution phase of acute inflammation. These include the discovery, structural elucidation, and temporal-spatial distinct actions of the lipoxins, resolvins, protectins, and most recently the maresins. Each of these families of mediators is biosynthesized within the resolution phase to promote the return of the host tissues to homeostasis. Widely used drugs, such as aspirin, have a unique and direct impact on these biosynthetic circuits of resolution, in that they jump-start resolution by triggering the biosynthesis of endogenous epimers of these lipid mediators, termed aspirin-triggered lipid mediators, specifically, aspirin-triggered lipoxins (15-epi-lipoxins), aspirin-triggered 17®-series resolvins, and protectins. The structural elucidation of these pathways and mediators, identification of their anti-inflammatory and pro-resolving receptors and establishing their pro-resolving actions are discoveries that formulate the basis of this current paradigm shift in our appreciation of resolution as an active process. These CET&RI discoveries have already provided a new appreciation of endogenous anti-inflammatory mechanisms and the return of tissues to homeostasis following inflammatory challenge. Moreover, they give opportunities to treat many common human diseases, where unresolved inflammation is a component of disease pathophysiology, with small molecule agonists of resolution based on the natural biotemplates of the lipoxins, resolvins, protectins and maresins. Knowledge of these pro-resolving biochemical circuits and previously unknown novel families of lipid-derived mediators also links the importance of dietary essential omega-3 fatty acids, such as eicosapentaenoic acid and docosahexaenoic acid, in healthy diets and their deficiencies to dysregulated resolution as well as the potential to correct defective resolution mechanisms. The control of the inflammatory response in the perioperative stage and the pain associated with chronic inflammation and post-surgical events are of increasing importance in the practice of anesthesia and pain management. Dr. Serhan’s research provides new avenues to control inflammation and its natural resolution pathways with precision. These ongoing studies now open the new field of resolution pharmacology and its potential uses in human disease. 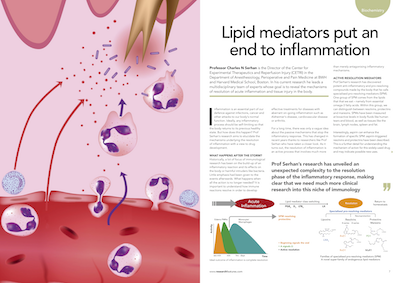 Charles N. Serhan: Lipid Mediators Put an End to Inflammation. RESEARCH FEATURES, JUNE 19, 2017.